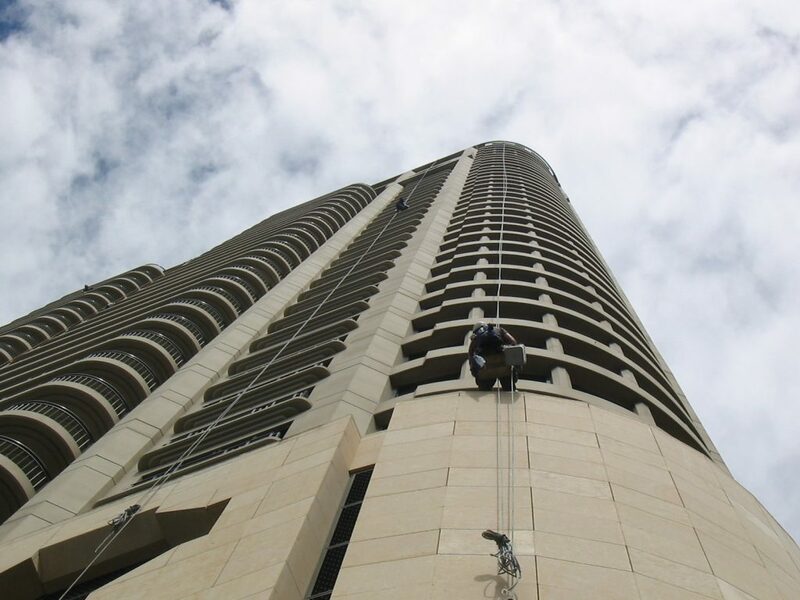 Off The Ledge has been at the cutting edge of high rise abseiling since its early beginnings, and over those three decades, window cleaning has been the front and foremost service provided to our hundreds of clients. 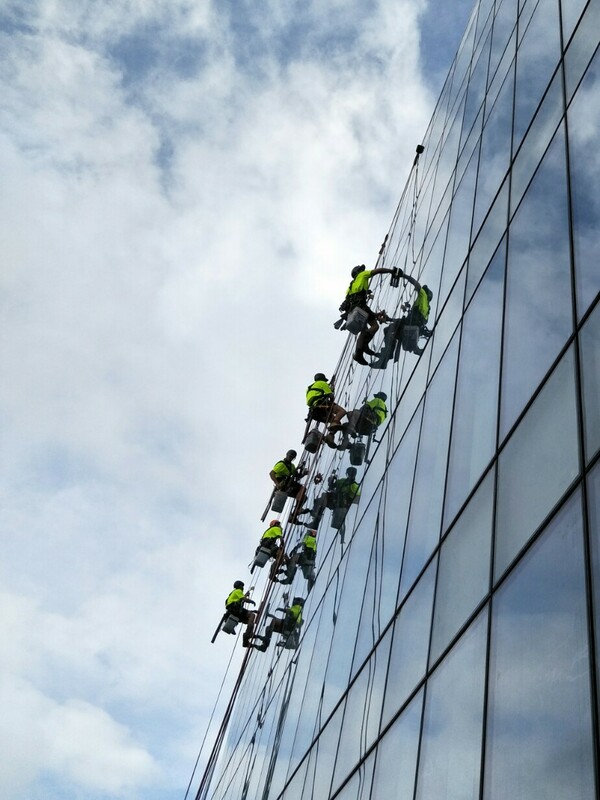 We have focused on developing unique, and effective techniques to maximise efficiency in high rise window cleaning. 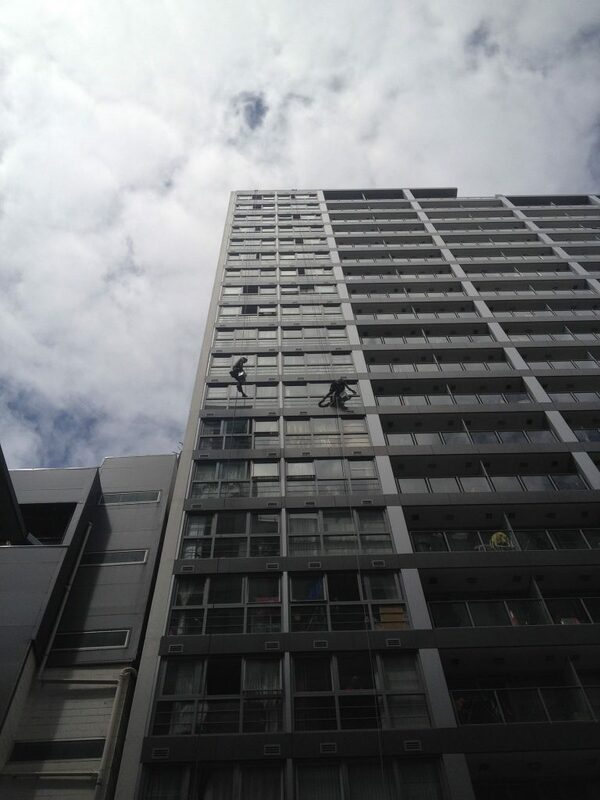 Our large team of 20 abseilers are all trained in house to work the same way,every building ,every day! We are very grateful to all our clients for being their preferred supplier in many instances. We do not take this for granted and constantly seek to deliver the best possible result. 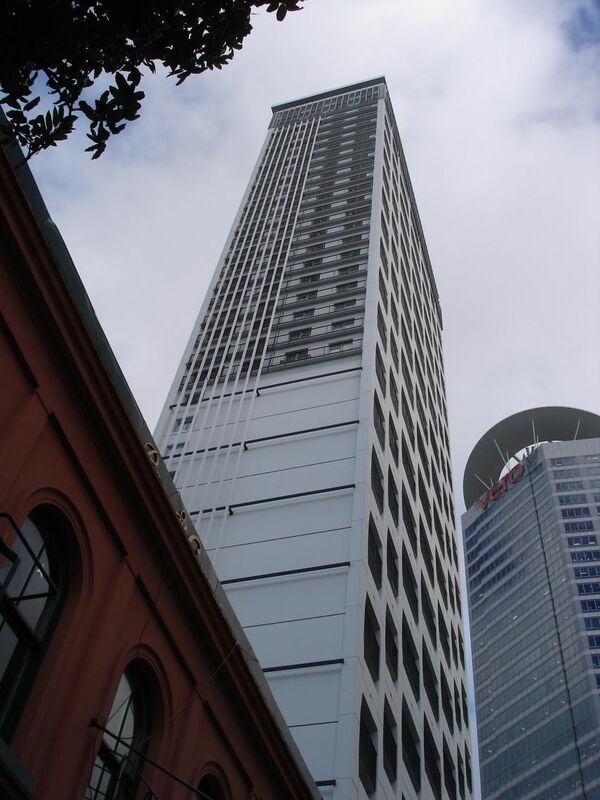 We service buildings of all sizes. 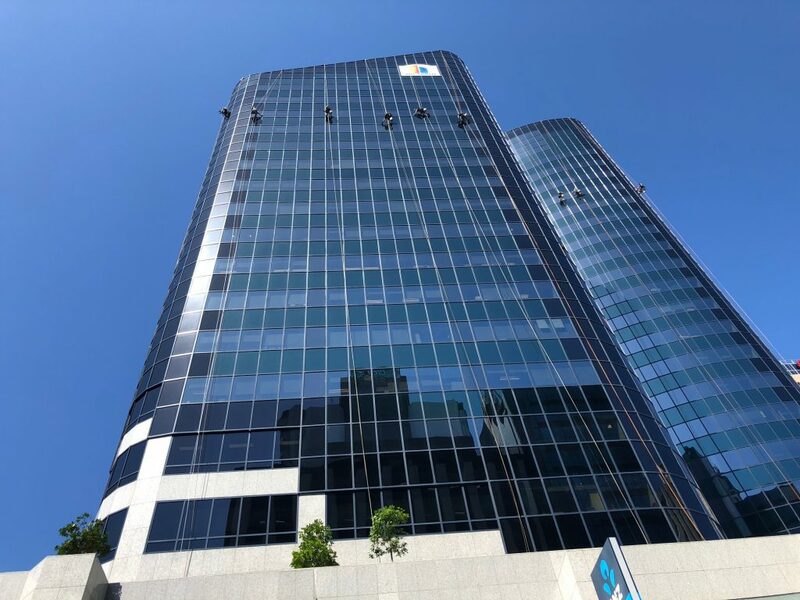 We carry out routine window cleaning on the tallest buildings and can also offer very competitive rates in all mid to low rise commercial window cleaning. 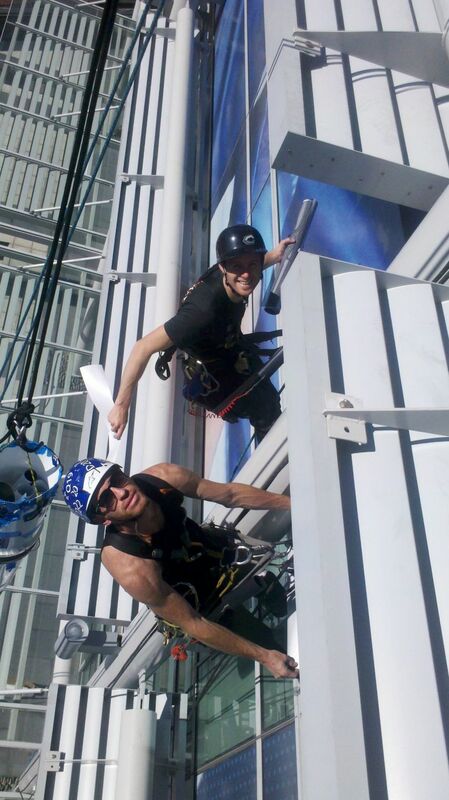 No job is too difficult for us. 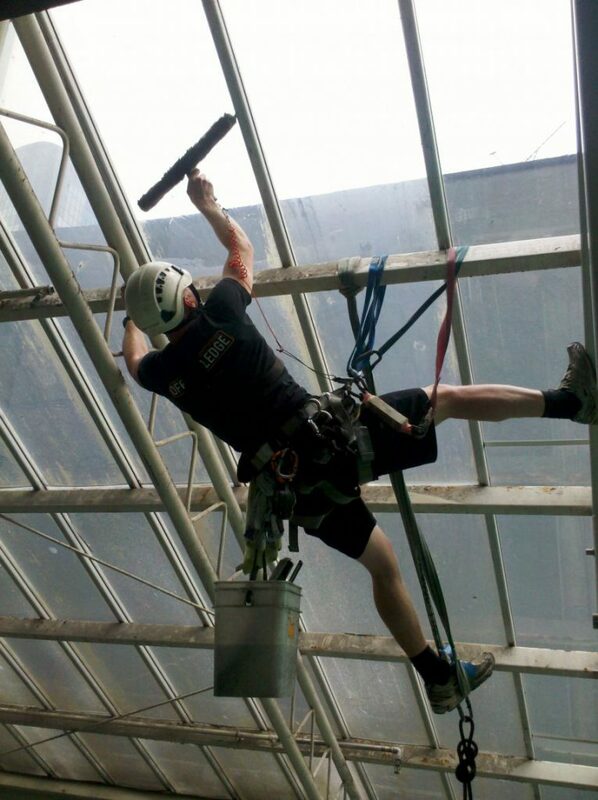 Our expert team are able to tackle any cleaning job even where the access seems impossible. We can even abseil an anchor-less building as we often use our own purpose built rigging and anchorage. 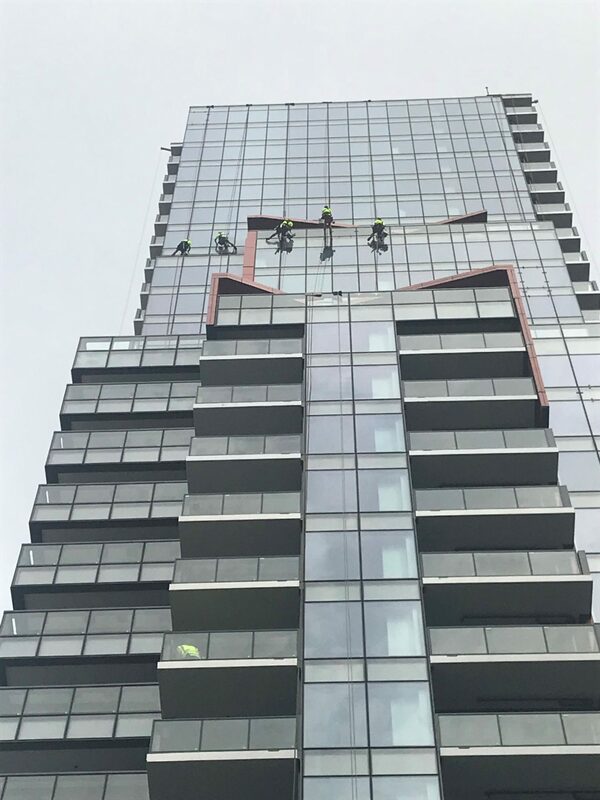 WE do thrive on problem solving and can often find a safe and cost effective alternative if a building is limited in anchorage options. 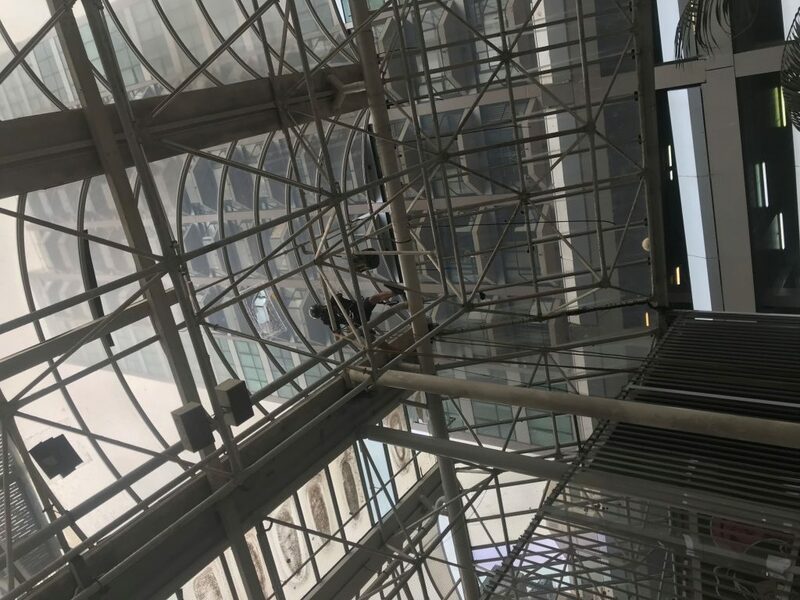 We can often clean the glass on smaller buildings (up to 6 levels) from the ground with our lightweight carbon fibre poles and a state of the art water purification system to get spot-free windows. We have an established methodology that is specific to each site. 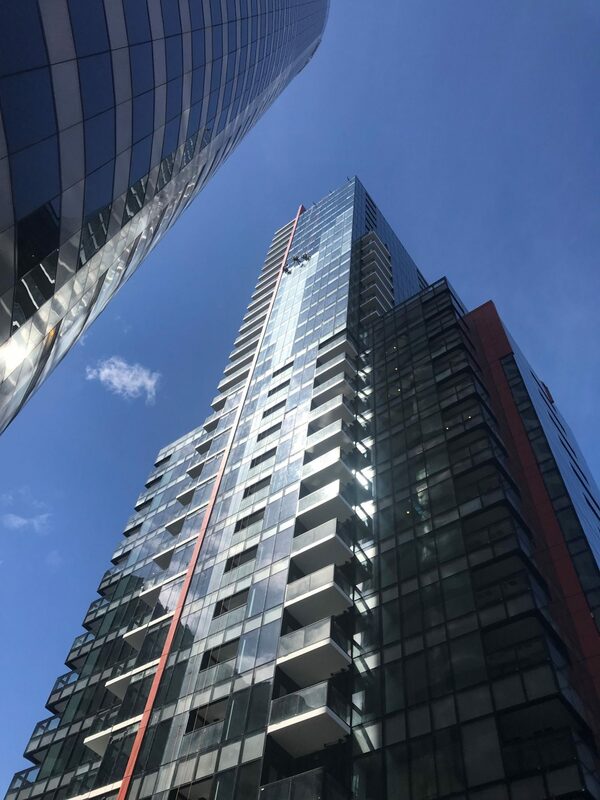 Our Site specific work plan (SSSP),is individually tailored to be subtly simple and yet effective. Our management team is able to monitor all work sites with daily communication with the entire crew. 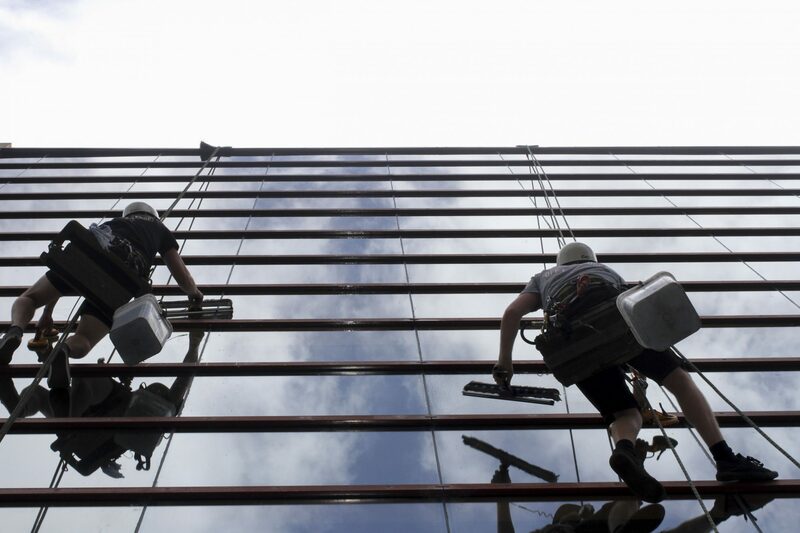 The SSSP also directs the most effective job layout for each building, and ensures that each clean is executed with repetitive military precision. This document is constantly reviewed and it forms the basis of our proven consistency. 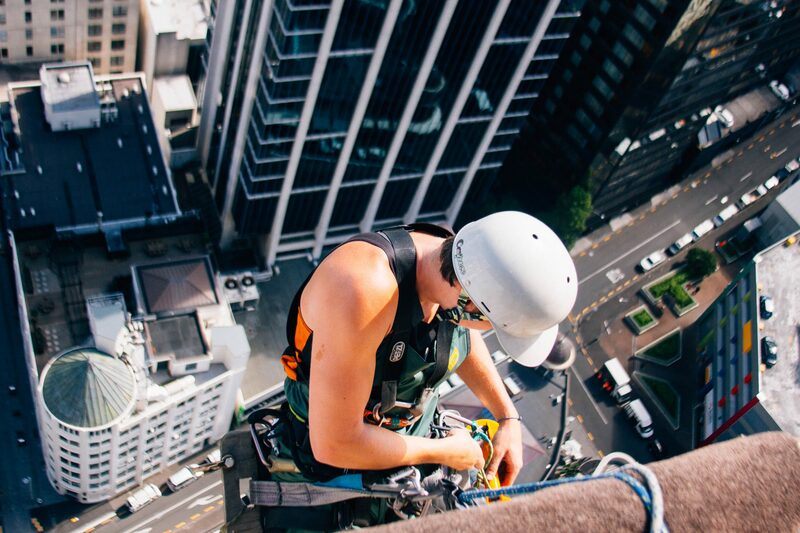 When you choose a professional team and service, the time you save is the money you save. 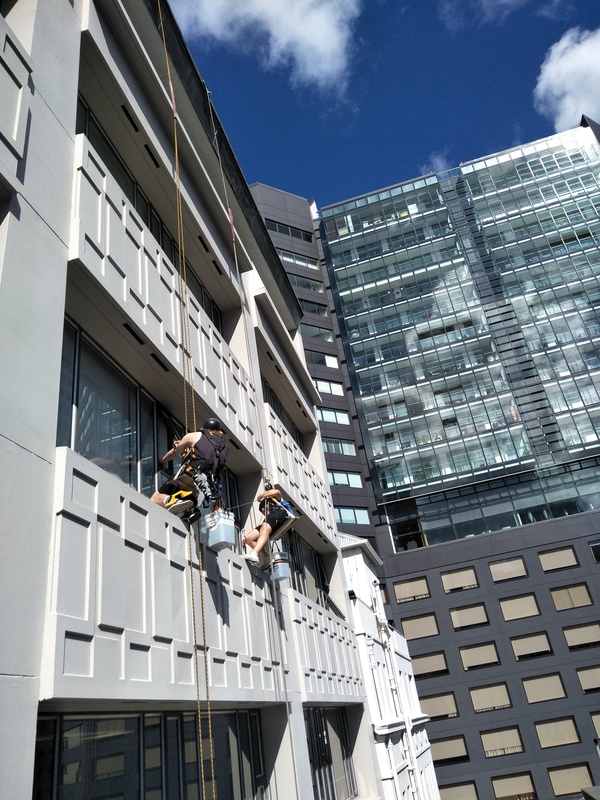 Our efficiency from set up to pack up has been so refined and well practised that by choosing Off The Ledge you get the benefit of our years of experience in every aspect of job management. 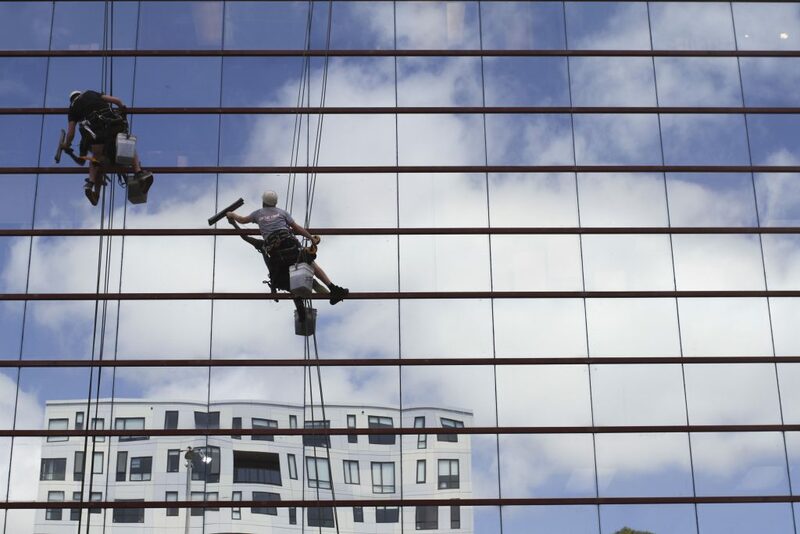 With every cleaning job, we provide a complimentary building inspection report. 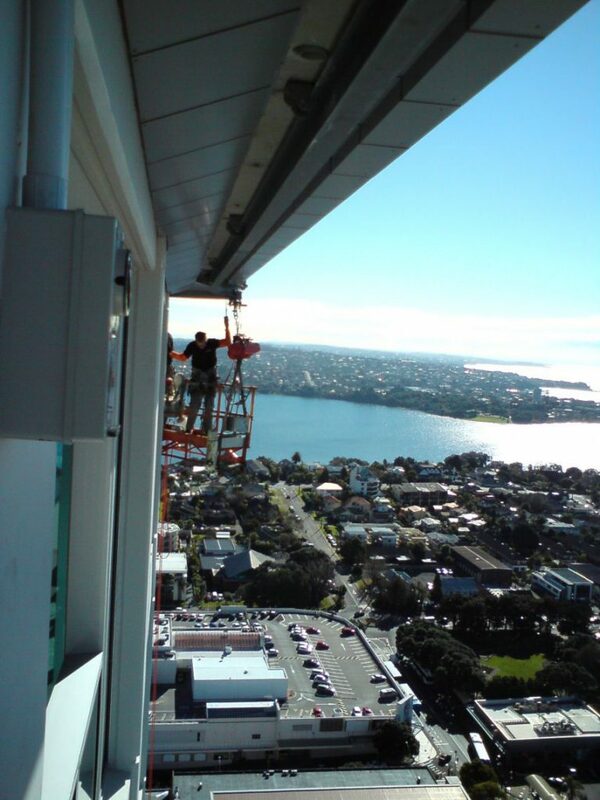 We can essentially be the eyes for all of the beyond reach places on your building.